OBAMA HAS PLANS FOR HIS TANKS, BULLETS, GUNS AND GUILLOTINES! There is Definitely Something going on and The American People can no longer keep theie Heads in the Sand. I have been talking about some of these horrifying and massive buildups for awhile and it is getting worse. It seems like the American People are getting more Stupid every day. Those American People that want a Real Change in the Washington Cartel, need to Wake them up. With the latest massive purchases of 3,000 brand new Armored Vehicles (Tanks) and 1.6 BILLION rounds of Ammunition and with other various other Associated Weapons, who does The Communist Obama have targeted to kill with all of these Weapons and Bullets? The Answer is very Simple. 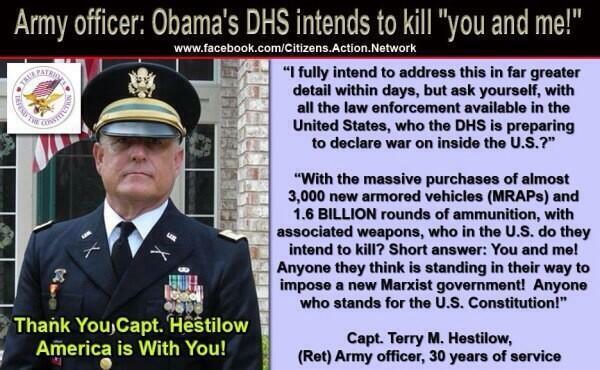 Obama intends to kill Americans. We currently live under a Dictatorship and a Communist Government. President Barack Obama is a great deceiver, liar, and Anti-Christ puppet of Satan. Obama is not a Christian, but a Luciferian who lets Muslims believe he is one of them. Obama has stated that “United States Is No longer a Christian Nation”. Barack Obama in Arabic and Persian means “The Blessing of Hussein“. When written in Persian, his name reads “O Ba Ma” and means “he is with us”. Obama will use the Muslims and the Chinese to carry out his Chaos in the United States like in Babylon. The Manipulative Obama has his Supporters at rallies chant “Yes, we Can” and when back-masked, it translates to “Thank you Satan” and the whole song has evil messages with Back-masking Techniques used. The “Yes, We Can” Slogan derived from President Ahmadinejad of Iran who had a Slogan during his campaign “We Can” used Four Years Earlier. You need to read the Facts on President Obama. Most Americans don’t even know about The First Major Scandal of Senator Barack Obama and that was the Pigford Scandal that was a Billion Dollar Fraud that Obama and the Liberal Media simply ignores. That Scandal can be exemplified in a 1997 Lawsuit called Pigford VS Glickman that alleged that 91 African American Farmers were unfairly denied loans by the Department of Agriculture due to racial discrimination and this supposedly prevented the farmers from farming and in 1999, the farmers won the case. The Black Panther Party was involved and Senator Barack Obama at the time manipulated laws to “Fix” the Billion Dollar Scam. This wasted taxpayer money. It started off with 91 Farmers, but grew to over 90,000 Claims seeking payment under the Pigford Court Ruling. The legal fees alone cost approximately 120 Million Dollars. The explosion of payouts reached an approximate 4.4 Billion Dollars. Pigford was about Buying Votes and surrounded by VoterFraud, deception, manipulation, and a larger, darker, scheme. Now President Obama passed ObamaCare, part of Agenda 21 or De-Population, where all Americans are required to receive Microchip Implants since March 2013 to receive HealthCare. It is in Bill H.R. 3962. In this Bill, it is described as a Class II Medical Device. Under the FDA, this is described as a Implantable Radio Frequency Transponder. Denying Medical Care to the Poor and the Elderly is a Death Sentence and Blood Sacrifice. This is exactly what is happening in the Veterans Hospital Scandals, because the Veteran Hospitals are already working under the Agenda 21 Guidelines. There were commercials recently on Television to encourage Euthanasia of the Old and the Poor People, which is Suicide. The Obama FEMA Camp has recently advertised to receive Obamacare or go to a FEMA Concentration Camp. This is almost the exact image of The Hitler T4 Program. The Seven Scandals Prior to Obama becoming President include: 1. Pigford Scandal; 2. Birth Certificate; 3. Drivers Licence; 4. Infanticide; 5. Work Record For Barack Obama and Michelle Obama; 6. Senate VoterFraud; and 7. College Records which you can not Find! At least Nine Scandals that we know about after Obama became President include 1. FastAndFurious; 2. Solyndra Scandal; 3. Agenda 21; 4. IRS; 5. NSA; 6. Extortion17; 7. BenghaziGate; 8. Veterans; and 9. Bergdahl Traitor Scandal. So back to what is going on in our Country. FEMA Camps are and will become Concentration Camps, similar to Nazi Germany and will be setup all over America, Canada, Mexico, and throughout many other countries in the World. Domestic Terrorism is in our Obama Administration and Americans must fight for justice and an end to this corruption. The Obama Administration is already profiling Americans with Terrorist Labels to Pro-Lifers, Anti-Obama, Christians, People with Guns, Veterans, those who support Traditional Marriage, Home School, Ron Paul Supporters, and those Support the Constitution. How about all of us who have the Four “C’s” on Their Twitter Profile? And that would be Constitutional, Conservative, Christ, and Christian. I guess you can also throw in the Cowboys and also Navy Vet and Guns. These are the Key Words that are Labeled as Terrorists in the Marxist Theology. The FEMA Internment Camps have watchtowers, a protected entrance, secured perimeter, and permanent fence. They are persecuting people and much torture occurs previously, currently, and there are plans to continue to use this method. 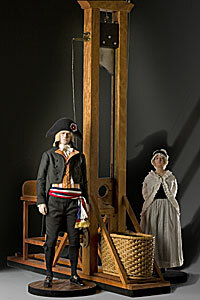 The United States has also just purchased 30,000 Guillotines. We need more Freedom Fighters and Citizens To Unite, Stand-Up, share this information As Soon As Possible, keep and buy Guns and Ammunition, march, sign petitions, and Pray, and Love. The Elite Bloodlines have infiltrated our Government and are participating in Psychological Warfare, planting false media stories with intense harassment through the legal system. The F.B.I. and Police have also been taken over and are wrongfully arresting many people while using extra legal force and violence. They do this to maintain the same political order. Japanese Americans were imprisoned due to racial prejudice, lack of leadership, and a collapse in society. Joseph Stalin, Adolf Hitler, Benito Mussolini, and Hideki Tojo all set up FEMA Concentration Camps conducting a coerced cooperation in slaughtering humankind in an Under Exaggerated Holocaust. The Obama Administration is planning a Holocaust Global Genocide! Why do you think Obama Released the Five Taliban Terrorists. The Evil Obama released them to help in the Global Genocide. The Obama Administration plans to disarm all Americans with The Army and Police and put them in FEMA Camps! Then they plan to disarm the Police with the Army and do the same thing until there are only a few to enslave. Many of the Criminals that Obama has recently released will be Fighting in The Obama Army. The Super Rich Elite or Bilderberg Group want to set up FEMA Concentration Camps globally and completely Enslave Mankind on Earth. They will attempt to make The FEMA Camps attractive and socially cool with events such as concerts, food, and more. Then, they will Force the Swine Flu and other Diseases and Vaccinations on the people which are Poisons and tools of Mass Genocide. The Global Government have already pledged and want the masses to Pledge Allegiance to the Beast, The False Prophet, and The Anti Christ.